I read a stat somewhere that said that 1 out of every 133 people have some form of celiac disorder, which makes them allergic to gluten in grain products. Fortunately I am one of the 132 people that don't have this, but having high blood glucose levels and read Wheat Belly, I have cut out most wheat products. As a result, my sugar has dropped dramatically and I never feel bloated. You are likely wondering what this has to do with beer. I love beer, which, of course, is made with malt, which is made from barley, which is a grain. As I love trying all sorts of beer, there will always be a little grain in my diet but I wondered what a gluten-free beer would taste like. I have heard that most are not very good but came across an article in the Toronto Star by their beer writer Josh Rubin about St. Peter's G-Free, who said that this particular beer is pretty tasty, so I had to give it a try. The difference between this and other gluten-free beers is that this uses sorghum in place of barley malt. Sorghum is an ancient cereal grain that has been grown for thousands of years and has a very high drought tolerance. Being gluten-free isn’t sorghum’s only bragging right. It’s also a whole grain that provides many other nutritional benefits. Sorghum, which doesn't have an inedible hull like some other grains, is commonly eaten with all its outer layers, thereby retaining the majority of its nutrients. 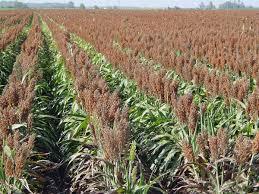 Sorghum also is grown from traditional hybrid seeds and does not contain traits gained through biotechnology. (The author of Wheat Belly claims that changes made through biotechnology to increase farm yields has made wheat an unhealthy food). Some specialty sorghums are high in antioxidants, which are believed to help lower the risk of cancer, diabetes, heart disease and some neurological diseases. In addition, the wax surrounding the sorghum grain contains compounds called policosanols, that may have an impact on human cardiac health. Some researchers, in fact, believe that policosanols have cholesterol-lowering potency comparable to that of statins. So, this could be an extra healthy beer but how does it taste? 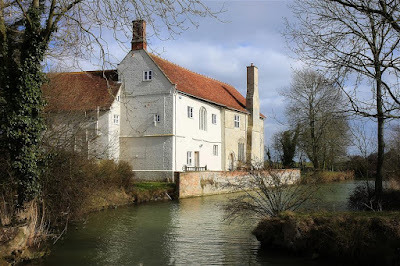 I have written about St. Peter's Brewery before. The brewery was built in 1996 but St. Peter's Hall that houses the brewery restaurant was built in the early 1500s, held its first feast in 1539, and comes complete with a moat constructed in the 11th or 12th century. The G-Free pours golden in colour with an almost non-existent white head that disappears quickly. There are no lacings. This is acceptable though as this ale contains no barley malt. When I snap the cap to the beer, I am hit right away with the aroma of hops. After taking a better smell, I also notice some grass mixing in with the hops. The G-free starts on the sweet side but then the hops come through in the finish. There is a bit of a different taste to this, not in a bad way, just different. I tell you that if I had a gluten allergy, this would be the beer I would turn to.